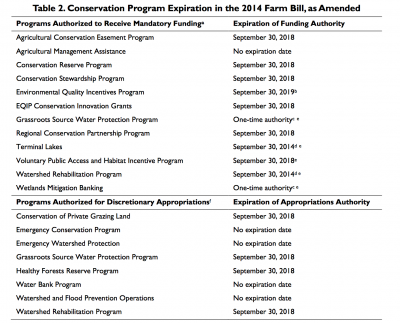 Late last week, the Congressional Research Service (CRS) released a report titled, “Expiration of the 2014 Farm Bill,” which stated that, “The current farm bill (the Agricultural Act of 2014, P.L. 113-79) has many provisions that expire in 2018. The 115th Congress has begun but not finished a new farm bill. An initial House vote on H.R. 2 failed by vote of 198-213, but floor procedures allowed that vote to be reconsidered, and it passed by a second vote of 213-211. The Senate passed its bill as an amendment to H.R. 2 by a vote of 86-11. Conference proceedings officially began on September 5, 2018, but have not yet reached agreement. 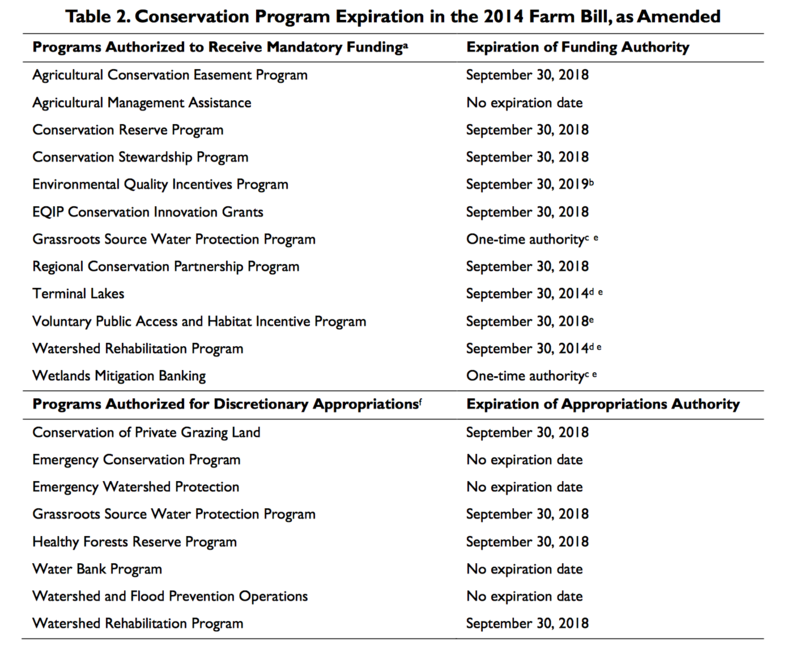 “Expiration of the 2014 Farm Bill.” Congressional Research Service (October 11, 2018).